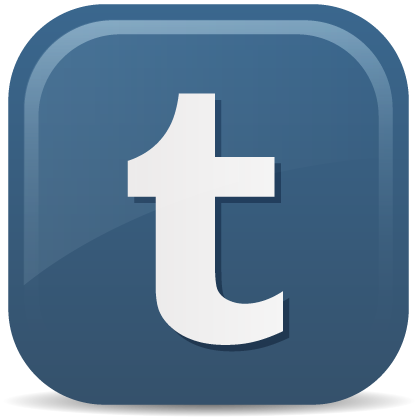 Give Litter Contest! Anakin's Shelter needs Lots of Litter! Anakin is promoting the Pensacola Hotel for Dogs and Cats- Adoption and Rescue Shelter Service in the World's Best Cat Litter Give Litter Charity! 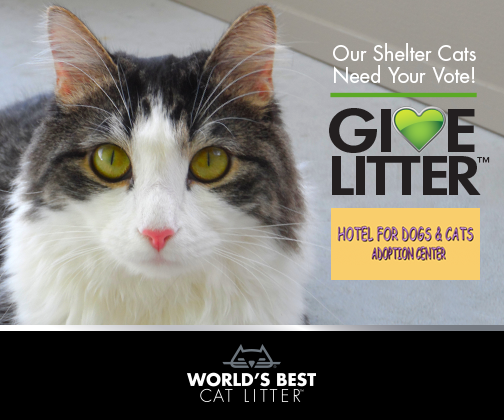 Vote here: www.worldsbestcatlitter.com/givelitter Wow!!! The Voting has been neck & neck! It's so awesome that in this contest everyone wins! Your votes just decide how much each shelter wins! Please Vote, Share & help donate today! I visited the Pensacola Hotel for Dogs & Cats yesterday and they are so excited about the contest! I loved on all of the kitties and many of the dogs while I was there. I wish I could take them all home! If you are in the #Pensacola area please visit the The Pensacola Hotel for Dogs & Cats to find your newest furfriend or to donates pet toys and supplies. Anakin has teamed up with Spangles the Cross Eyed kitty & Princess Monster Truck Forever to Give Litter to 3 deserving Cat Shelters! 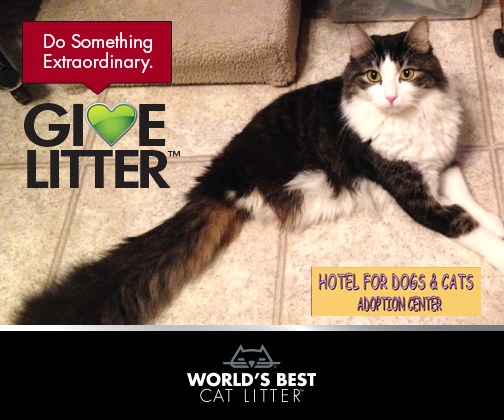 GiveLitter™ is the only cat charity that allows you to instantly donate all-natural World's Best Cat Litter™ to deserving shelters all around the country with the click of a mouse. And this round of GiveLitter™ is bigger than ever as we celebrate the huge and diverse world of cat lovers who know owning a cat is just cool. Voting for this round begins July 18, 2014 and ends July 25, 2014 at 11:59pm. One vote per person, per day. Help Anakin Give The World's Best Litter! 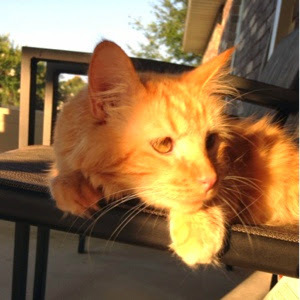 Anakin is promoting the Pensacola Hotel for Dogs and Cats- Adoption and Rescue Shelter Service in the World's Best Cat Litter Give Litter Charity! Please Vote, Share & help donate today! Mobile link: http://bit.ly/wbclgive Web link: http://www.worldsbestcatlitter.com/givelitter Anakin has teamed up with Spangles the Cross Eyed kitty & Princess Monster Truck Forever to Give Litter to 3 deserving Cat Shelters! GiveLitter™ is the only cat charity that allows you to instantly donate all-natural World's Best Cat Litter™ to deserving shelters all around the country with the click of a mouse. And this round of GiveLitter™ is bigger than ever as we celebrate the huge and diverse world of cat lovers who know owning a cat is just cool. Throwback Thursday! Baby Anakin! :) On 7/18/12, I wrote... Ani has discovered the joys of Curtains! Open mouth smelling the curtains in the first pix. 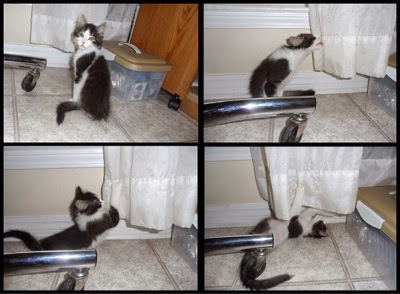 Yes, that's him licking the curtains in the second pix LOL! Then of course clawing and swinging on them in the last two pixs. These are the sheer curtains in my art area. They look a little rough because all the cats play with them and like to hang out in the window there. I built Anakin some temporary steps so he can sit in the window. 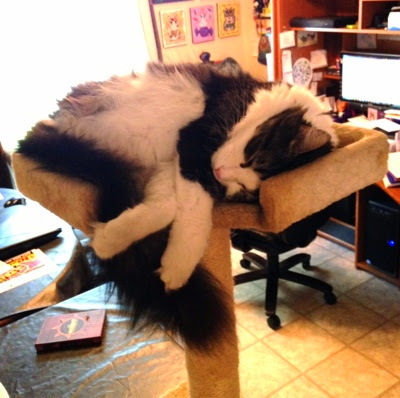 Anakin in dreamland, sleeping up on his favorite perch.